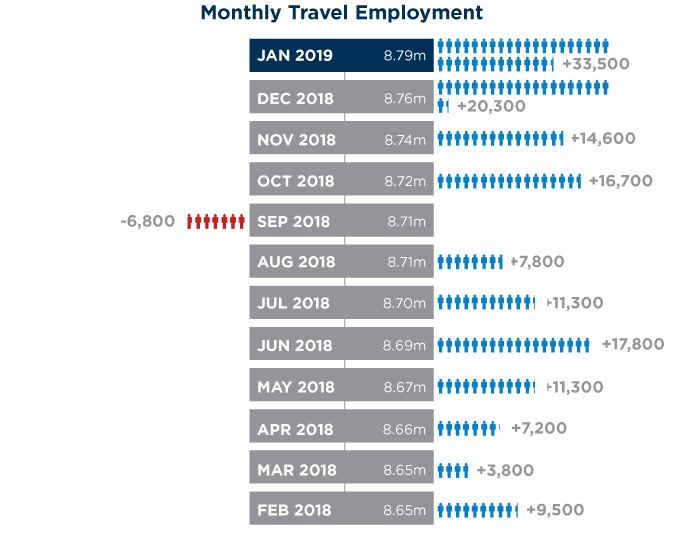 Travel-generated employment increased by 33,500 jobs in January, the largest monthly gain since February 2016. Within travel, job gains occurred mainly in the leisure and hospitality industry, including the amusements/gambling/recreation industry, food services/drinking places industry, and the lodging industry. Employment in the airline industry continued to grow, as well.